Camera Crew Germany: Streaming webcasts in Munich. 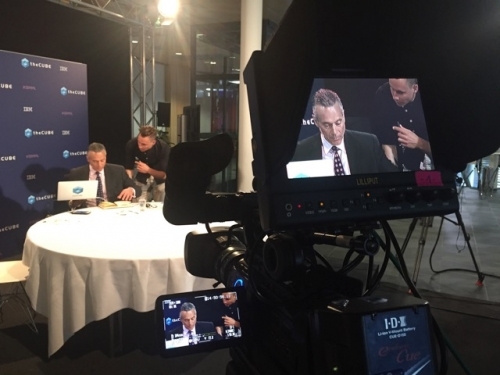 We recently provided multi camera, streaming and webcast facilities for a new California based client at an event in Munich. A totally different ball game from regular corporate and documentary shoots. Needless to say when you’re streaming all depends on a reliable and stable upload connection which can sometimes be tricky at remote locations. However, our end client was IBM and they made sure that the streaming connection was top notch.